Gum surgery in Costa Rica is very popular. San José, Costa Rica is a beautiful city and the main destination when having Gum surgery in Costa Rica because of its state-of-the-art dental centers and exceptional board certified dentists. 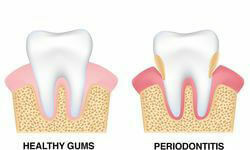 Periodontal “gum” disease is caused by a bacterial infection that can irreversibly damage the teeth. If periodontal disease is caught in its early stages, it can be treated with regularly scheduled dental cleanings. A Gum surgery procedure is $250. It is meticulously done by Costa Rica’s best board certified dentists. A Gum surgery procedure can be performed along with any smile makeover procedure. The price is typically discounted lower when having a combination of procedures. If you would like a Gum surgery package with other procedures in Costa Rica, please go here. Gum surgery prices are up to 80% less in San José, Costa Rica than in the U.S. and Canada. Here are more details.